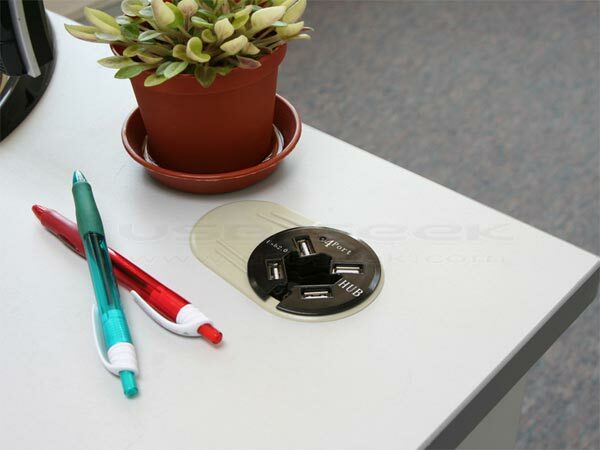 Here is a useful USB gadget if you have one of those desks with a hole for cables (or you could always get your drill out), the In-Desk USB 4 Port Hub. 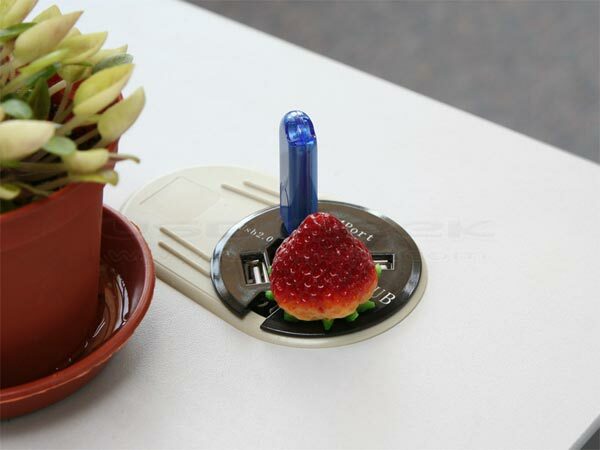 The In-Desk USB 4 Port Hub fits inside a 2 inch round hole, and comes with 4 USB 2.0 ports, it measures 65mm diameter by 31mm. 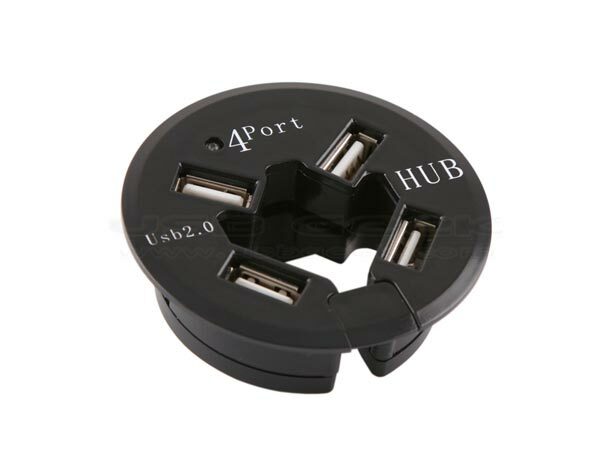 The In-Desk USB 4 Port Hub is available for $12 from USB Geek.